One of my favourite places in the entire world is a place called Papatowai in the Catlins, south of Dunedin. We spent Easters there when I was a child, and I still love to visit whenever I go back to New Zealand. 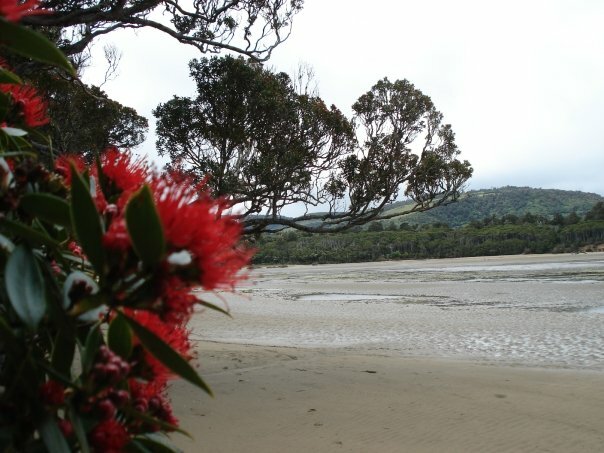 This part of the South Island coast has rock pools and tide pools, an estuary that drains out at low tide, South Island Rata that hang low over the sand and old growth Totara. It’s one of those places that you go to stay and not leave. Just get out your map, drawn a circle around where you are staying and go out explore a very small part of the world – climb your way around rock pools, walk up and down the coast, wander across the estuary in zig zags like the spoon bills that live there, sit inside by the fire. Eat good food, go to sleep and then get up and do it all again.